So, as most of us know by now... Serperior's Hidden Ability, Contrary, has finally been released! 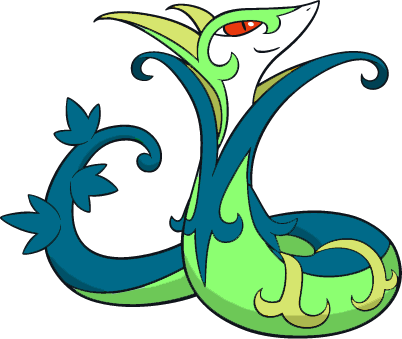 "Serperior," you query, "why, isn't that the smug snake starter found in the Omega Ruby and Alpha Saphire editions? What makes him so special? Why would I want a Contrary Pokemon?" Life Orb seems to be the best choice in items, though Choice Specs remain a temptation. 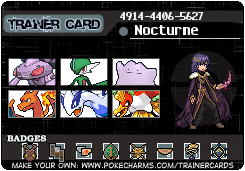 Try starting off with anything that has Sticky Web - Serperior will outspeed all but a few of the fastest (Gengar remains a major threat with its Levitate) even before you drop their speed. Afterwards, it's just unfair. Talonflame remains the single greatest danger to Serperior if the web is in place, so having a major physical wall (Slowbro or Gliscor are just unfair to T-flame), as well as possibly having a Stealth Rock setter is a must for this common threat. Bulky Charizard X also is a major threat to Serperior's sweeps, and cannot be taken out safely unless Serperior is +4. I know there are a few other sets out there... Ideas? Also... Nominate someone to receive a shiny baby Snivy, styled to their choice! No, you cannot pick yourself. Giga Drain ftw. And the 'let TAKA feel loved' nomination is accepted! I would like to nominate Whirlpool, for being the only other person who nominated someone.